Is house shopping supposed to be this hard! Trying to decide where, which school, which one! It's a little aggravating and this is only at the beginning of our search. Nieces, Nephews, and few of my cousins kids. This is how we trick or treat in Texas. LOL! 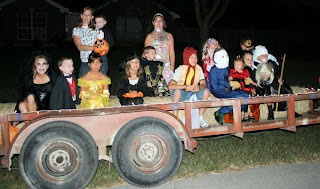 The adults decided on the hayride, easier to keep up with all the trick or treaters! 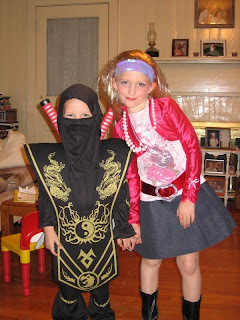 Kelton as "Bad Guy Ninja" and Savannah as Hannah Montana! What great fun to be a kid again!